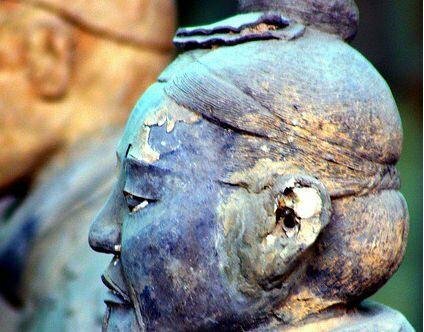 Let us take you on a well-rounded, private full day tour of Xian to its top not-to-be-missed sites: the Terracotta Warriors and Horses, Wild Goose Pagoda, and the prehistoric village of Banpo. Around 8:30am, we will pick you up from your hotel in the city and take you to the site of the incredible Terracotta Warriors and Horses. There are over 8,000 pieces discovered so far, including human soldiers, chariots, horses, and other military themed works. Lunch will be included at a local restaurant. In the afternoon, visit Wild Goose Pagoda, a very important and sacred place for Buddhists. The outside of the pagoda is simple and humble but the inside is very grand with stairs to the top where the views are wonderful. Daci&apos;en Temple hosts a statue of Xuanzang and areas for religious burning of incense. Lastly, visit Banpo, a famous archaeological site in Xi&apos;an which honors an ancient Neolithic village where the Yangshao people lived. You will find wood and stone relics from this era more than 5,000 years ago in the form of axes, chisels, sickles, and stone and pottery knives. At the end of your tour, we will transfer you back to your hotel in Xi&apos;an.